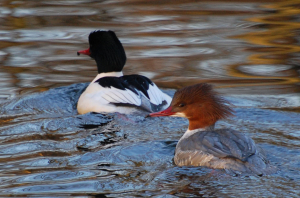 Observation - Goosander - UK and Ireland. Description: Diving duck also known as Sawbill. Male and female. Diving duck also known as Sawbill. Male and female.